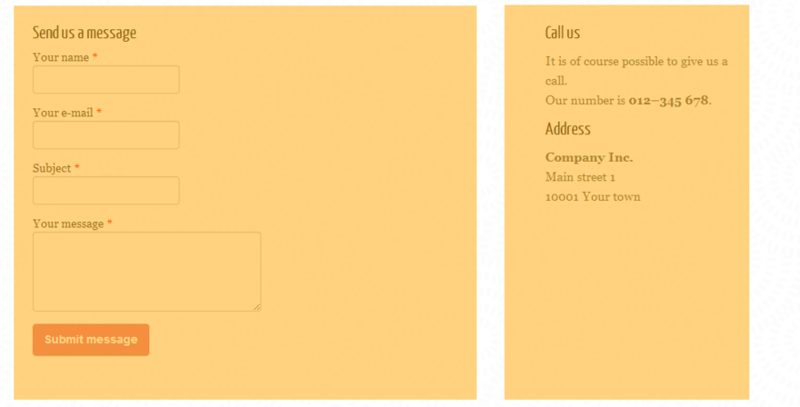 When you create a new empty page, you will be able to choose the page layout straight away. 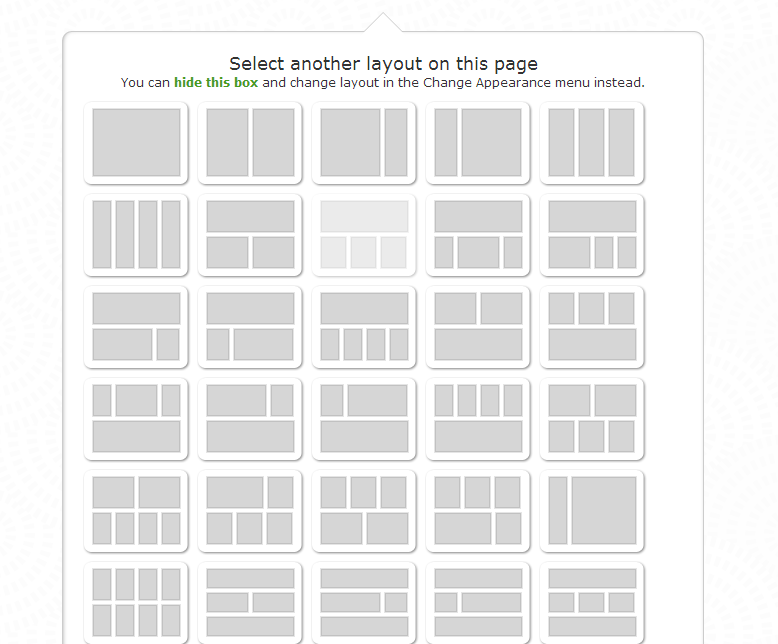 Mouse over and click a layout to use it on your page. 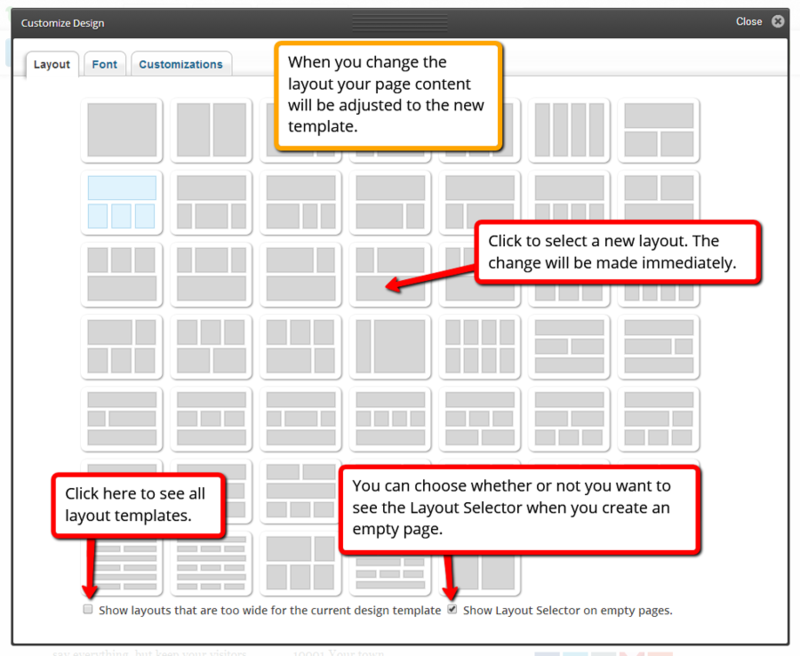 Make sure that you are working on the page on which you want to change the layout. You can use different layouts for each page. The current layout is highlighted in the panel. Once you have changed the layout, your content will be adjusted to the new template - therefore, you might need to readjust the position of your blocks after the change has been made. You can add several elements to a single column in a layout. The example below is a two column layout with different blocks in each. For example, there is both a heading and a form in the left column.